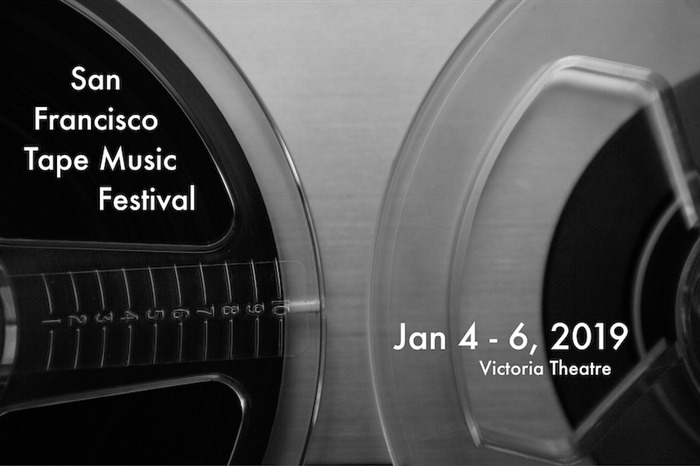 America's only festival devoted to the performance of audio works projected in three-dimensional space, The San Francisco Tape Music Festival features four distinct concerts of classic audio art and new fixed media compositions by 40 local and international composers. Hear members of the SF Tape Music Collective, along with guest composers, shape the sound live over a pristine surround system (24 high-end loudspeakers) with the audience seated in complete darkness. It's a unique opportunity to experience music forming - literally - around you. The 2019 Festival features contemporary “fixed media” compositions alongside classic works from 50 years ago. The FREE Saturday 10:30pm show presents late-night-appropriate works that are more on the ambient and long-form-exploration side of the spectrum. The works from 1969 truly represent the spirit of the time. We represent MORTON SUBOTNICK'S music here with his 1969 surround-sound work, "Touch." Also included is one of the most experimental works of "tape music" ever released on a popular record (Billboard's #1 album of January 1969, in fact): THE BEATLES' "Revolution 9," recently re-released in 5.1 surround. We present "cross-over" tape pieces that incorporate sounds from both popular and electronic music: JON APPLETON'S "Newark Airport Rock," FRANÇOIS BAYLE'S "Solitioude" (from "L’Expérience Acoustique") and BERNARD PARMEGIANI'S "Du Pop À L'âne / Pop’éclectic." 1969 was also a time of experimentalism. The fesitval includes ELIANE RADIGUE'S early feedback composition "Stress-Osaka" alongside our own multi-channel realizations of ANTHONY GNAZZO'S text-sound work, "Population Explosion," and JAMES TENNEY'S minimalistic, pychoacoustic classic "For Ann, Rising." Rounding out the festival, works by bay area artists THOM BLUM, CLIFF CARUTHERS, KRIS FORCE, BRENDAN GLASSON, ROB HAMILTON, HANES/ADAMS (STEVE ADAMS and JOHN HANES), HEADLIGHTS (DEREK GEDALECIA and AURORA JOSEPHSON), MAIJA HYNNINEN, MATT INGALLS, KENT JOLLY, FERNANDO LOPEZ-LEZCANO, KRISTIN MILTNER, MAGGI PAYNE, LARRY POLANSKY, RAUB ROY, and BRIAN REINBOLT will be performed in addition to many other pieces by composers from around the world. equipment kindly provided by The Center for Computer Research in Music and Acoustics (CCRMA) at Stanford University and sfSound.